December 2015 activity report — Yay Bikes! 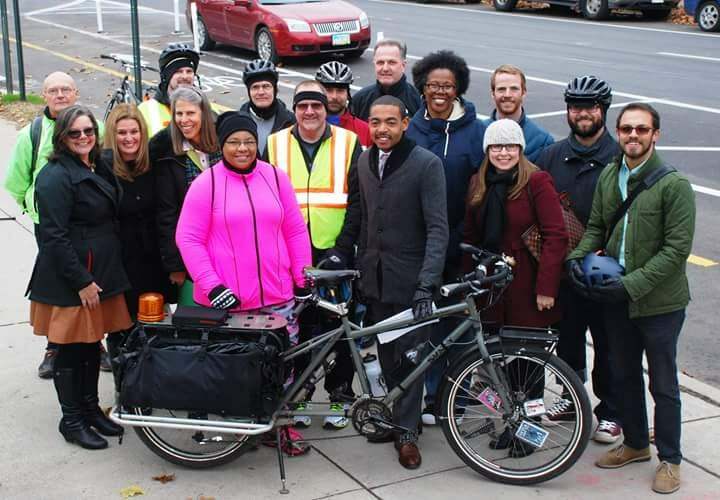 City of Columbus officials and Yay Bikes! volunteers at the official launch of Columbus' first protected bike lanes. The Lantern: "Protected bike lanes open along Summit Avenue"
The Columbus Dispatch: "New bike lanes causing confusion north of Downtown"
Regular monthly board meeting of Yay Bikes! Streetsblog USA: "Vote for the Best Urban Street Transformation of 2015"
Columbus Underground: "Best Nonprofits in Columbus"